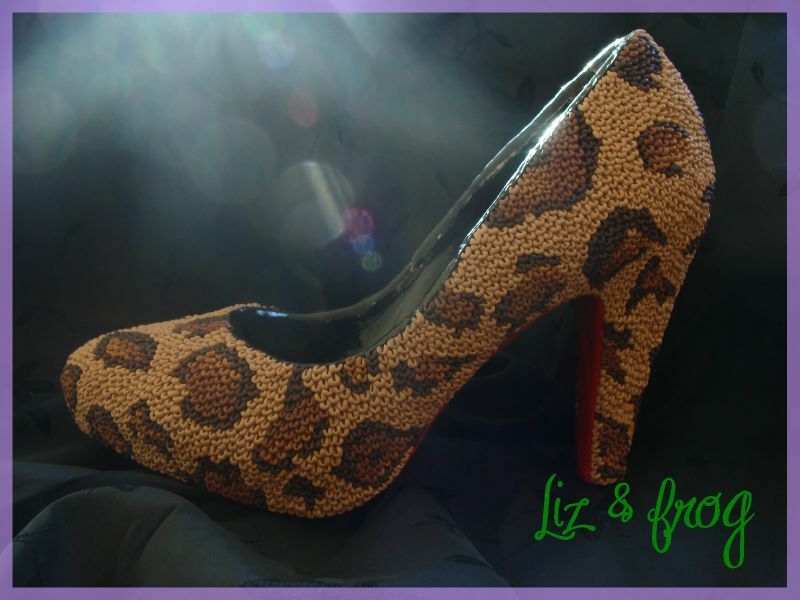 Once upon a time France’s Aneliz (Liz and frog) created polymer-covered leopard shoes as a gift for her sister. Not content with her success, she created a second pair based on the work of Japanese artist, Utagawa Hiroshige. Several soul sisters have plotted to disappear with the special slippers. But there’s no prince at the end of this story and it’s probably best to make your own. You’re picturing what you’d wear them with, aren’t you? The colors are perfect for spring. Let’s give interior design student Maria Belcher a festive send off today as she heads to the Czech Republic for a semester abroad. Mother Judy is accompanying Maria and teaching polymer classes along the way. We wish Maria well and hope she’ll still check on PCD every day. Félicitations pour cette mise à l’honneur bien méritée! Un grand bravo à Aneliz pour cette sublime oeuvre d’art ! Quel talent !!!! Maria, I hope you get to check out the Czech glass bead making production that dates back centuries. I love Czech beads…please report back to us and have a wonderful semester! wow, i love your work Aneliz! it’s amazing! and anyway, who needs a prince…. bravo,pour ce travail splendide et pour cette mise à l’honneur bien méritée!continues de faire briller nos yeux de tes merveilles! I love the idea and the execution is beautiful. I’m wondering if the shoes are intended to be worn? If so, does the method of applying the poly clay make it flexible enough to withstand walking? I’m only curious, since I don’t plan on trying this myself. Of all the things to do and cover with our fun little polymer clay- I NEVER would have thought of this! So impressive!!! Did she bake those beautiful shoes??! Enjoy your travels together and may each of you have a wonderful time so far away from home! Happy travels Maria and Judy. Interior design is one of my passions. I hope you find lots of inspiration in the Czech Republic. I just returned from Prague, and would love to go back. Judy…you’re becoming quite the world traveler. Jealous much??? YES I am. Hugs…..
I’m dying to know what super strong adhesive she used to keep everything attached.